On the average day of castings, I take around six tube journeys (that’s six lots of running up the escalators as I can’t stand still!) and I walk for miles. I’m not exaggerating, neither am I moaning – I love a good, brisk walk. Walking is better when the weather turns slightly colder, and that’s because summer shoes are crap for walking in. Ballet pumps: flimsy health hazard. Flip-flops: even flimsier health hazard with added risk of serious foot injury from stupid people treading on them. Espadrilles: don’t even go there! The colder months mean that I can crack out the stomping boots – proper, grippy, no-messing boots that let me walk at a ridiculously fast pace. Two recent additions to my stomp boot collection are detailed below. I know I’m not supposed to call it an Ugg and someone will tell me to change it, but they do look like Uggs, don’t they? 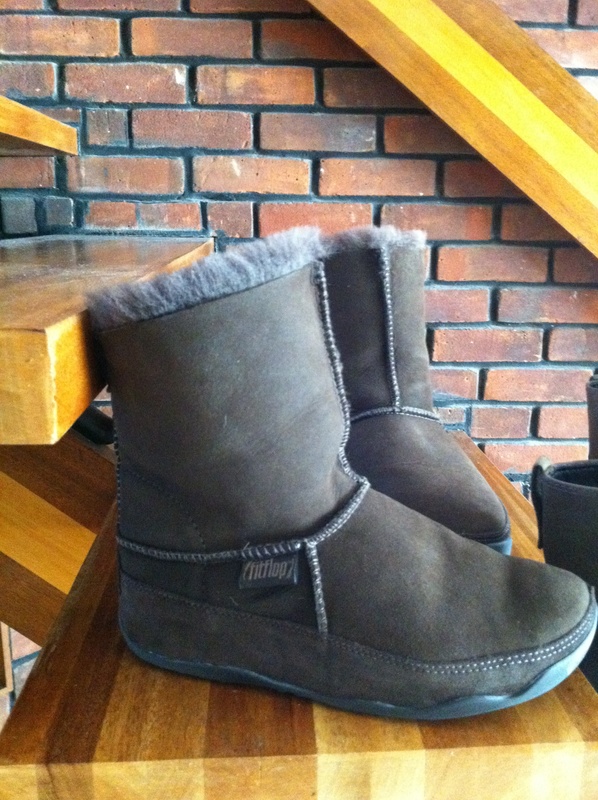 The real name is Fitflop Mukluk so you can suit yourself as to what you refer to them as. Just heed this piece of valuable knowledge: these boots are fit-flipping-amazing. They have the Fitflop ‘wobble board’ technology same as the original Fitflops (if you’re lost at this point, where have you been for the last few years?!) and special sole that propels you forward and makes you engage your muscles for better toning. I can really walk up a storm in these and I can actually feel them changing my posture when I put them on. When I had them ‘fitted’ I had my walk analysed and was told that I was a cross between Quasimodo and Richard III in terms of gait and posture, but that the boots would help sort me out. They didn’t lie – I feel straighter and taller with them on and I’m pretty sure that I walk differently. Probably like an injured gazelle. Joking aside, these are very supportive on your feet – I know that they’re Ugg-like, which is a fashion crime, but I don’t care. 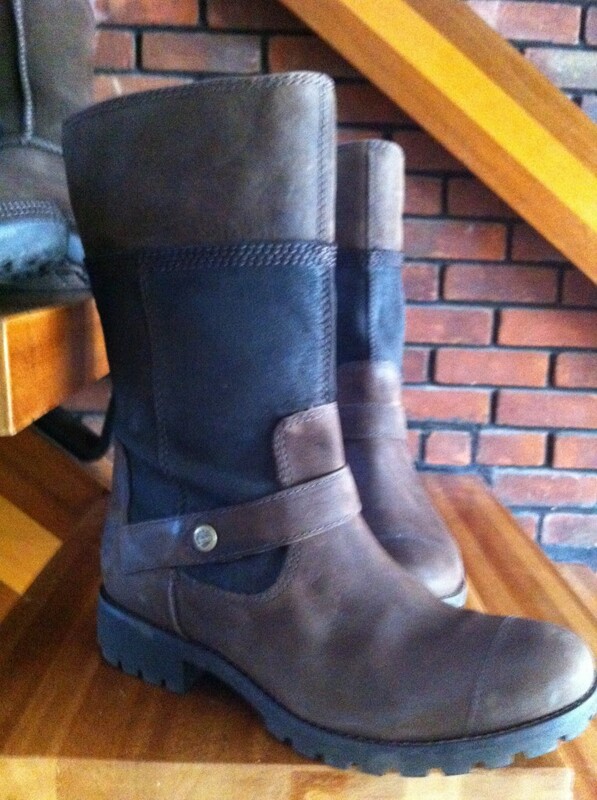 This is the Timberland 8″ Atrus boot and it is set to be my staple flat boot for winter. 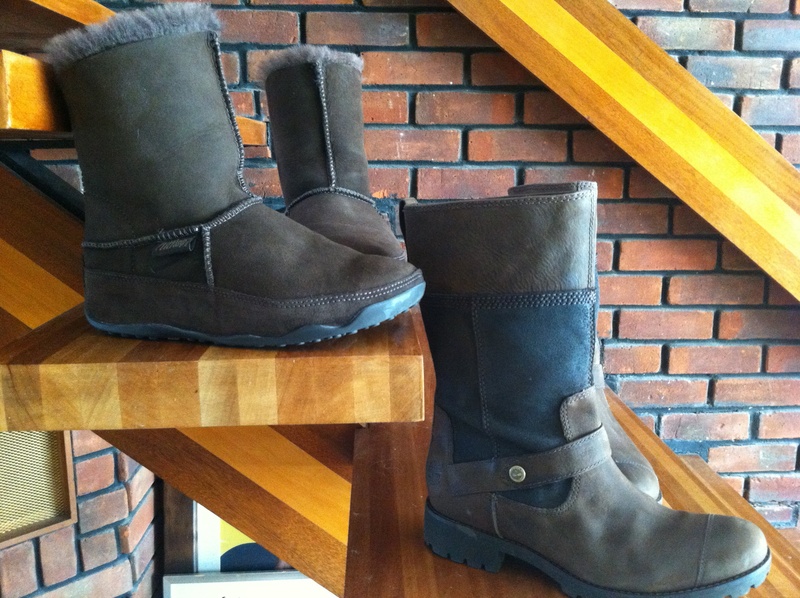 Ultra-comfy, ultra-grippy, there’s a second boot too, because I like to wear one on each foot. (Did you like that little piss-take there? It’s very ‘fashion’ to use the singular, you know – a chic trouser, a dark jean, a fierce shoe…) These boots are exactly the right balance of equestrian and utility and I’m very pleasantly surprised that they are made by Timberland, who I previously assumed only made boots for Missy Elliot. Not only am I pleasantly surprised, I’m also seriously impressed by the eco-credentials of the Earthkeeper footwear – the materials used to make the boots are both recycled and recyclable! There’s a freshness and a lightness to the materials that feels very breathable, yet the boots are solid and sturdy. I like a bit of clever design and engineering, and it pleases me that I can wear it on my feet. These get a very definite seal of stomping approval. Earthkeepers Atrus, £110 from Timberland Online.